A lady who has been keeping travel journals for as long as I can remember. I’ve always loved to travel, explore & learn different cultures, and giving recommendations to friends who are going to the same places as I have been. I’m extremely grateful have been travel to many beautiful places. This is a blog for those who enjoy informative blogs, and for those who love to read. 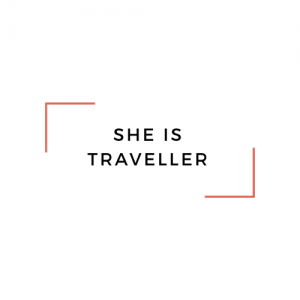 She Is Traveller blog also focused on makeup and skincare reviews and beauty news and fashion related. My other focus on this blog is on everything about women and all things women might be interested in. I’m open to working with brands and join a collaborations, but on strict term of honesty and fairness with no sugar-coating. If I don’t like a product, I will either not review them or I will review them, but tell you what I honestly think. It doesn’t make everyone happy, but it makes us happy and from what I can tell, it makes readers happy and it makes the credible website that people love to visit and respect. I hope you enjoy reading through my blog just as much as I am writing it. Thank you and have a wonderful time ahead!